Vivo V7 relaunched with Julie Anne San Jose and Ashley Rivera. 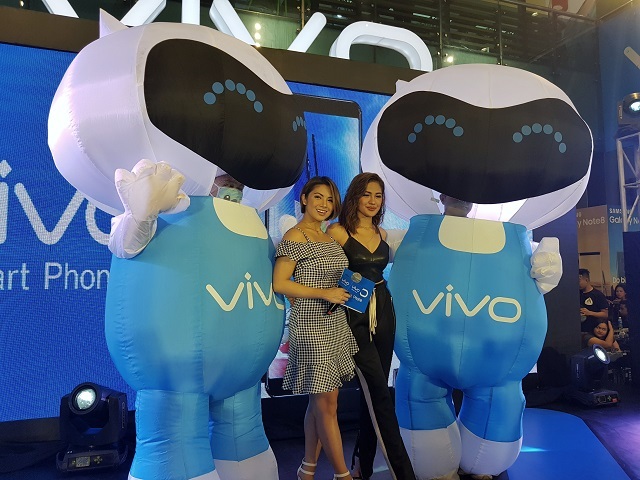 After its grand launch in Bacolod City, the Vivo V7 was officially launched in Manila in SM North EDSA Cyberzone Event Center last November 28. The event was top-billed by R&B singer and Vivo influencer Julie Anne San Jose and featured the newest all-male group One Up. The event was also hosted by the DJ and Vlogger Ashley Rivera. Vivo is also mounting a special Christmas campaign to anchor the traditions of the most awaited holiday of the year. Booth stands in participating malls mounts a good spot for Christmas selfies with Santa Claus. You can also say ”Hi” to their favorite Vivo Family at the Vivo Phone Booth and get a chance to be Vivo’s all-screen cover girl or cover guy at the Cover Page booth. Plus, you can also try and get familiar with the new Vivo V7 at the Experience tables. People who drop by the Vivo booth stand are also entitled to prizes upon completing their rounds in all of the featured booths. The V7 is the result of Vivo’s on-going effort in understanding the needs of today’s young people, as the company continues its growth trajectory and international expansion by providing stylish and dynamic products to more consumers to show off their individuality and capture memories that is worth remembering. The V7 reinforces Vivo’s leadership in selfies with its 24MP front-facing camera, which produces crystal-clear selfies. By keeping true-to-life color and contrast and a clear background at all times, V7 allows users to express themselves truly anytime, anywhere. Equipped with advanced technology, this phone is known for its exceptional photography features, screen quality and the overall product design.